If you've been charged, or arrested for possession of heroin in Asheville, NC or surrounding areas, make no mistake, it is a serious felony drug crime. You need to contact an effective Asheville drug attorney today! 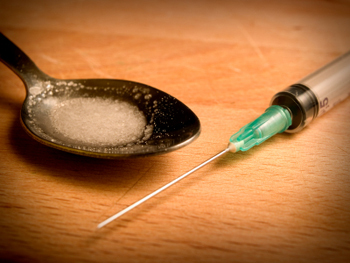 heroin carries serious felony penalties in NC. Heroin is considered a schedule I substance under NC Law. Heroin possession alone is a class I felony under NC statute. Intent to sell and deliver Heroin enhances the penalty to a class H felony. An actual sale or delivery of Heroin raises the penalty to a class G felony. This penalty can carry years long prison sentences. Trafficking in certain quantities of heroin can carry penalties from several years to potentially two decades + in prison.